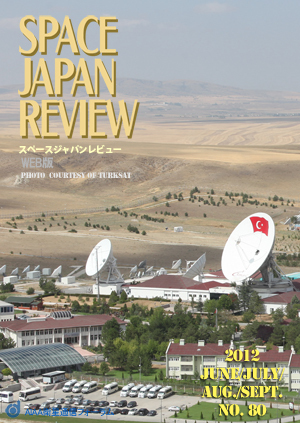 In this interview by Web, Turksat President and CEO Dr. Ozkan Dalbay talks about his business strategies for the satellite communications services in the area from Europe and Africa to Asia and about the impression of the Japanese working style and people�fs behavior through the Turksat 4A and 4B which are now under development in Mitsubishi Electric Corporation (MELCO). Space Japan Review (SJR) is a technical communications journal published by AIAA Japan Forum on Satellite Communications (AIAA-JFSC), a subcommittee of the American Institute of Aeronautics and Astronautics (AIAA)�fs Technical Committee on Communication Systems (TCCS). It was initially published in hard copy, but is now distributed electronically over the Internet. This column provides an opportunity for CEOs of communications satellite development and manufacturing companies and satellite communications providers around the world to discuss their strategies and aspirations, serving as a reference for AIAA members and SJR readers. Turksat A.S provides a various kinds of communications services. Today we'd like to discuss your strategies for the satellite communications business through Web.